Preface: The Declaration of Québec (1997) or Declaration of Quebec (1997) was adopted by the Second International Seminar Forum UNESCO – University and Heritage, Université Laval, Québec, Canada, 5-10 Oct., 1997. Université Laval (Laval University) is the oldest centre of education in Canada (2nd oldest in North America), and was the first institution in North America to offer higher education in French. Its main campus is located on the outskirts of the historic city in Québec City, the capital of the province of Québec. The university is ranked among the top ten Canadian universities in terms of research funding. As the first French-language university in the Americas, since its founding, Université Laval has been training, equipping, and guiding the decision makers who’ve grappled with the major issues of society. Through the advancement and sharing of knowledge, its culture of excellence, and its global outlook, academic community contributes to the development and international profile of the province. Still today, with the world at a crossroads, Université Laval plays a bigger role than ever in Québec City and on the national and international scene, both as a catalyst for change and a visionary institution where knowledge, curiosity, and innovation are part of everyday life. The Declaration of Valencia (1996) was adopted by the First International Seminar Forum UNESCO – University and Heritage (FUUH), Valencia, Spain, October, 1996. The Declaration of Québec was the result of the Second International Seminar Forum UNESCO – University and Heritage, 5-10 October 1997, University of Laval, Quebec, Canada. 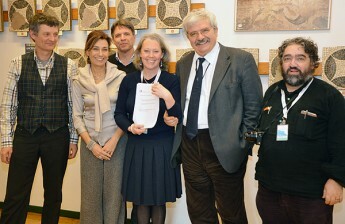 It reaffirms the participants’ readiness to implement the principles of the international University and Heritage network; requests that the University of Laval in Quebec establish a UNESCO Chair in Heritage; and asks that the UNESCO General Director support the development and coordination of the network. 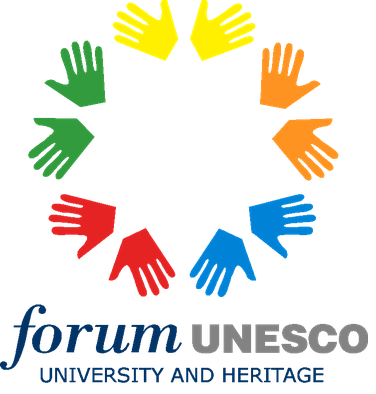 Forum UNESCO – University and Heritage (FUUH) is created by UNESCO in 1995, it is jointly managed by UNESCO (World Heritage Centre) and the Polytechnic University of Valencia (UPV, Spain). Currently the network counts over 400 universities worldwide. The Second International Seminar Forum UNESCO – University and Heritage, Université Laval, Québec, Canada, 5-10 Oct., 1997. The Declaration of Quebec was the result of the Second International Seminar of Forum UNESCO. It reaffirms the participants’ readiness to implement the principles of the international University and Heritage network; requests that the University of Laval in Quebec establish a UNESCO Chair in Heritage. It asks that the UNESCO General Director support the development and coordination of the network. Upon the strength of the support expressed in Quebec, Canada, by its federal, provincial, municipal authorities as well as its universities, and following the workshops discussions, the participating universities, along with the national and international representatives of the cultural heritage, and the members of ICOMOS, ICOM, IAU, IAOHE, WHTO, participating to the 2nd Forum UNESCO – University and Heritage Seminar, organized in Quebec, jointly by UNESCO and Université Laval, decide unanimously to consolidate the Forum UNESCO international network created in Valencia, in 1996. 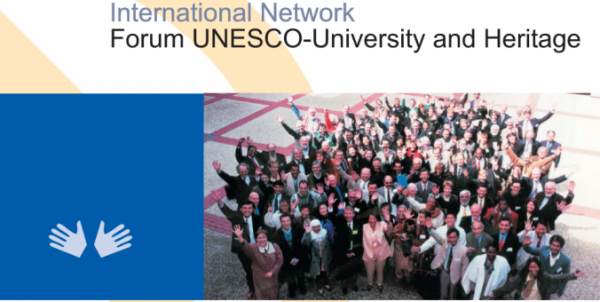 This network composed of universities with programs related to the cultural heritage has for main objective to mobilize human and technical resources on the national, regional and international levels in order to act in convergence for the protection and enhancement of the cultural heritage and for the benefit of the people. 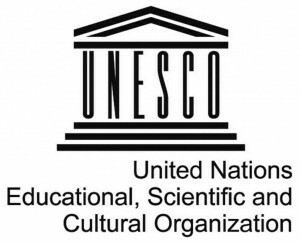 ask UNESCO’s Director-General to strengthen the implementation, development, and co-ordination of Forum UNESCO – University and Heritage International network.